Successfully Added Car Rearview Camera - Nightvision, 1/3-Inch CMOS, 170-Degree Wide-Angle Lens, Waterproof, Distance Alarm to your Shopping Cart. With this two-in-one rear camera and radar sensor for in your car, you’ll never have to worry about bumping into an object again while trying to park your vehicle in reverse. Simply place this waterproof camera at the rear of your car, attach it to a display, and you’ll always be able to enjoy detailed footage of what’s happening behind your car straight from your dashboard. Thanks to its 170-degree wide-angle lens, this camera will provide you with a great overview of anything that’s located behind your car, ensuring that you’ll never have to worry about hitting any obstacles again while driving in reverse. 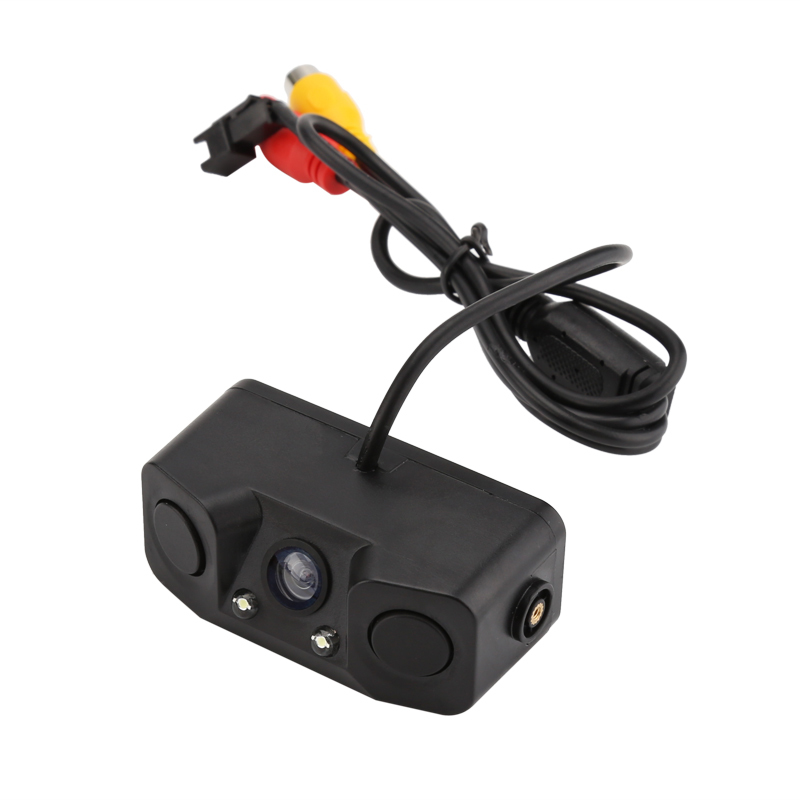 Thanks to its IP67 waterproof design; this car rearview camera can be used efficiently in any weather condition. It features a 1/3-Inch High-Definition CMOS Chip, providing great footage in stunning detail. Additionally, this low illumination camera features night vision, allowing you to use it both at day and night. Whenever you put your car in reverse, this intelligent car radar sensor and rear camera will start working automatically. Providing you with sharp images and highly accurate data on the distance between your car and certain objects, you will be able to thoroughly grasp your car’s position and situation. Thanks to its smart alarm feature, a beeping alarm will sound whenever your car is approaching an object too close – guaranteeing that you’ll always stay informed and never accidentally hit an object again. Easy to install and suitable for any car model out there, this smart rear view camera and radar sensor is the ultimate car accessory. This car rear camera comes with a 12 months warranty, brought to you by the leader in electronic devices as well as wholesale electronic gadgets..